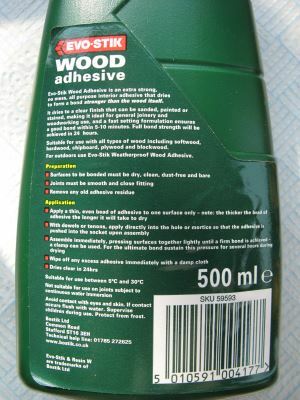 This is a PVA wood glue. This is the glue that you can buy in most DIY shops. This is a good general purpose wood glue that is also great for craft and hobby work. I must admit that if I’m going to glue wood then I reach for a Titebond glue as it gives a stronger joint and can be sanded. However, if I want a craft PVA that will glue paper or to use diluted for papier-mâché then this glue is brilliant. 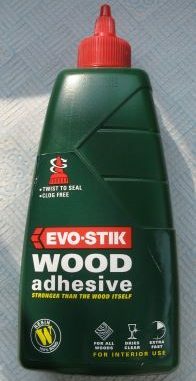 Not the best wood glue, but the default wood glue that you can rely on for everyday jobs. Our page on Glues gives some ideas of glues that can be used for different materials.